This Kiwi “Sushi” recipe is one that came to me just as I was falling asleep. I was relieved that the idea hadn’t faded overnight and I couldn’t wait to prepare and photograph the snack. 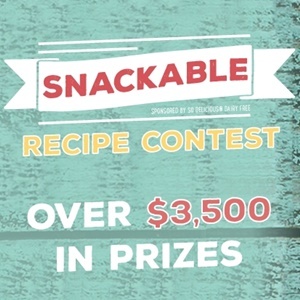 After making my Curry Corn Fritters I knew I had to try a sweet recipe for the So Delicious snackable contest, this time featuring the So Delicious French Vanilla coconut milk creamer. First the creamer gets stirred with some Saigon cinnamon and chia seeds, then refrigerated to make a pudding. Next some kiwi fruit is peeled using a spoon to achieve a smooth exterior, then cut in half widthwise and cored using a cannoli form (or apple corer) to create a ring of kiwi. The kiwi rings are filled with the chia seed pudding, then garnished with some goji berries and strips of dried mango. 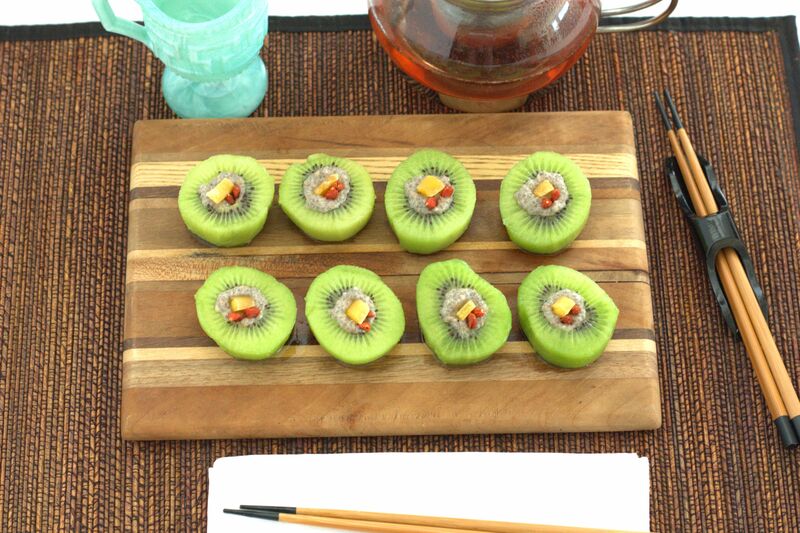 The result is a stunning presentation of Kiwi “Sushi” that is the perfect snack to fix any sweet tooth. In a small bowl, mix together the So Delicious French vanilla coconut milk creamer, chia seeds, and Saigon cinnamon. Refrigerate for 30 minutes. 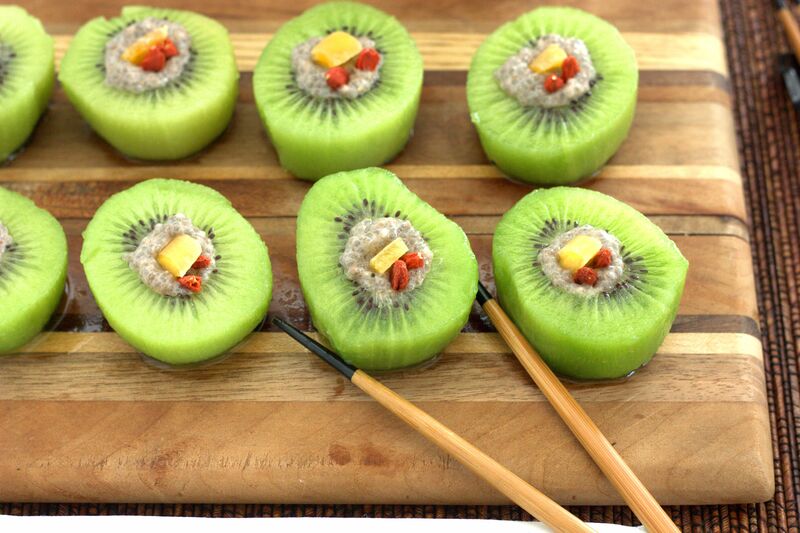 When creamer and chia seeds are chilled and have formed a very thick pudding, prepare the kiwi. Cut the tops and bottoms off of each kiwi (about 1/4th an inch from each end). Next, peel the kiwi fruit using a spoon by sliding a spoon between the skin and the fruit and slowly circling the fruit. Slide the fruit out of the skin and cut in half widthwise. Next, core the kiwi using a cannoli form or an apple corer and reserve the fruit removed from the core for another use. 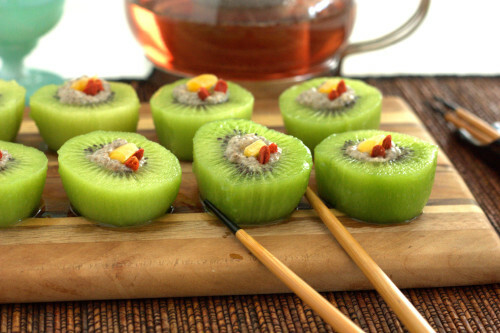 Evenly fill the center of each of the kiwi rings with the chia seed/creamer mixture; set aside. Cut the mango strip into 16, ½-inch by ¼-inch strips. 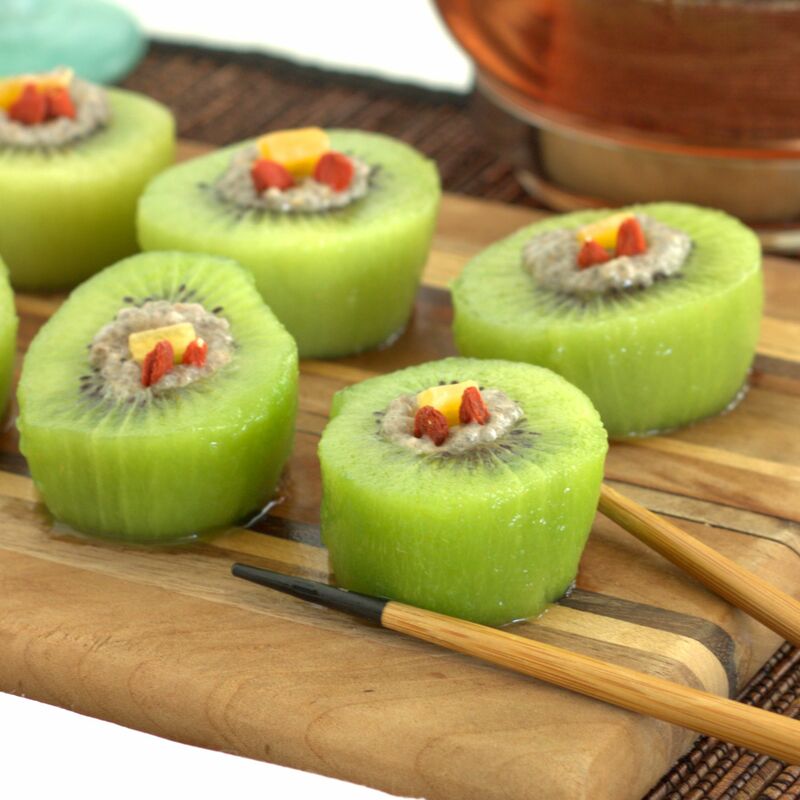 Finally, gently garnish the center of each kiwi “sushi” with two goji berries and one piece of mango pushed into the chia seed pudding center. Makes 16 servings. Serve immediately; refrigerate any leftovers. I know, I know, chia seed pudding is an “in” thing right now, but have you tried it? It is definitely worth the hype, since it has the trifecta of great taste, easy prep, and good-for-you benefits. 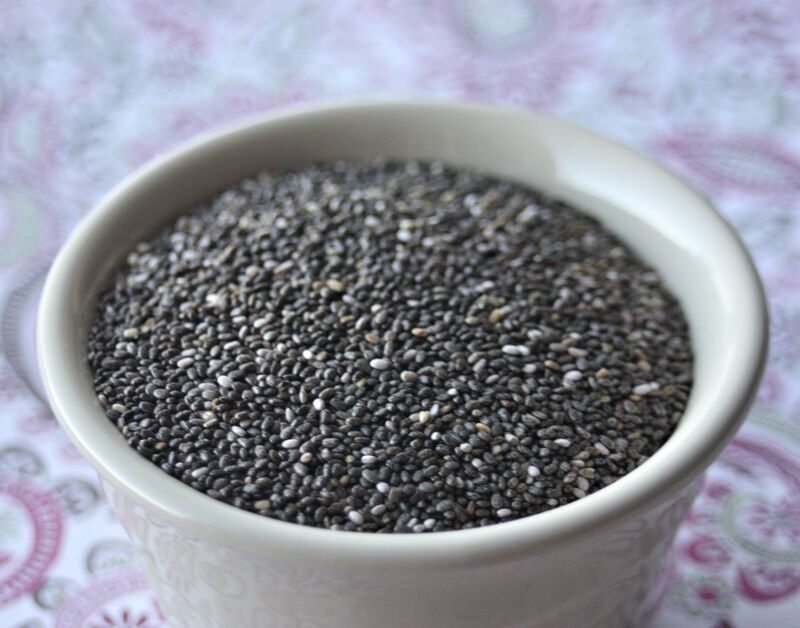 Chia seeds are a power house of nutrition, with a high fiber content, protein, calcium, and omega-3 fatty acids. 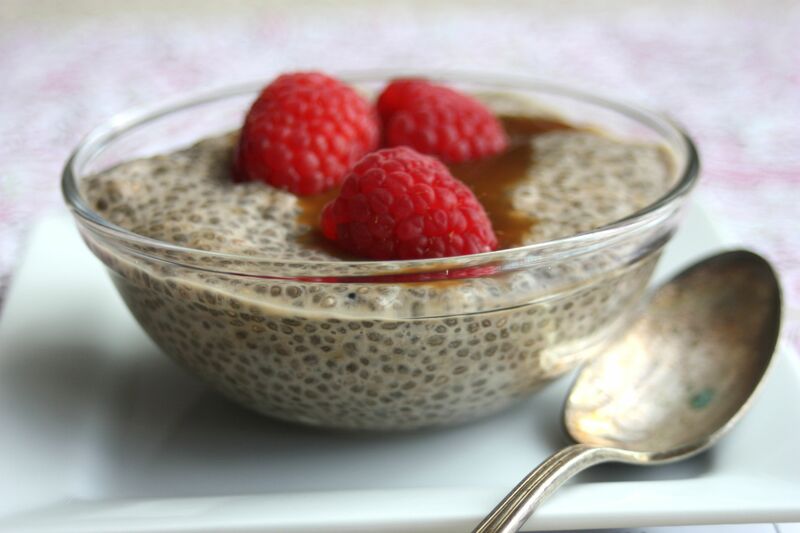 One of the other amazing attributes of chia seeds is their hydrophilic tendency – they can hold on the order of 10 times their weight in fluid! 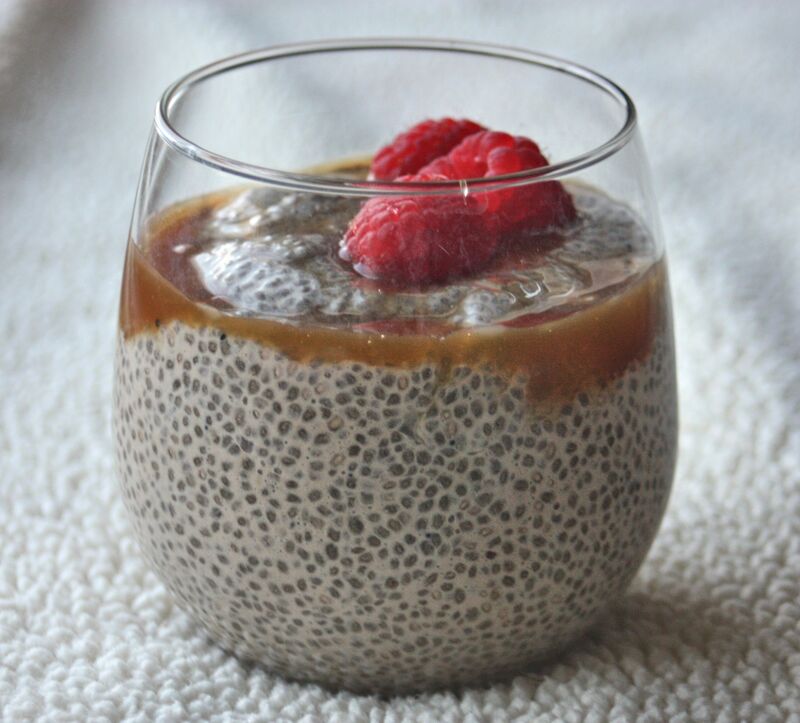 This fact means I can turn a few simple ingredients, such as almond milk, cappuccino powder, and chia seeds into a pudding once the chia seeds expand and form a gel. I added a bit of extra flavor with some caramel sauce and raspberries. Eating this for breakfast makes me feel like I am cheating and eating dessert, but I can’t think of any better way to get the nutrient boost mentioned above. OK, I agree, having the raspberries sit in a pool of caramel probably doesn’t count as a “healthy” breakfast, but it sure is tasty! 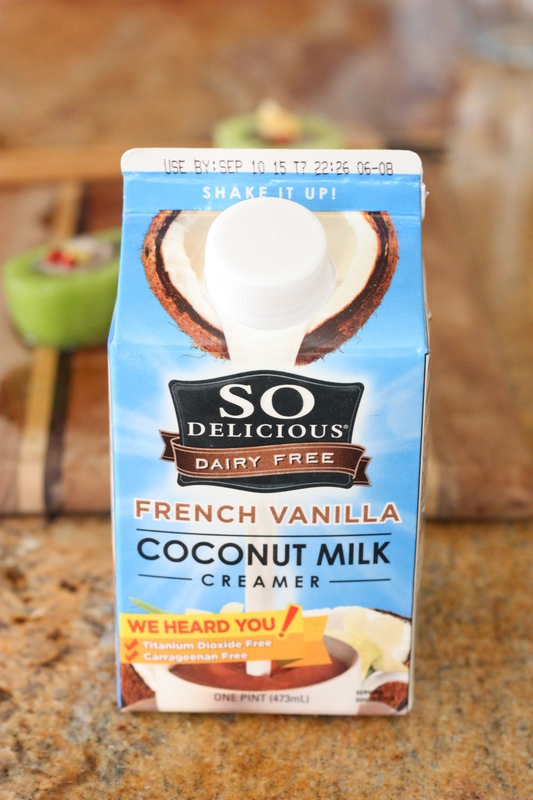 Stir the French vanilla cappuccino mix into the almond milk until smooth. 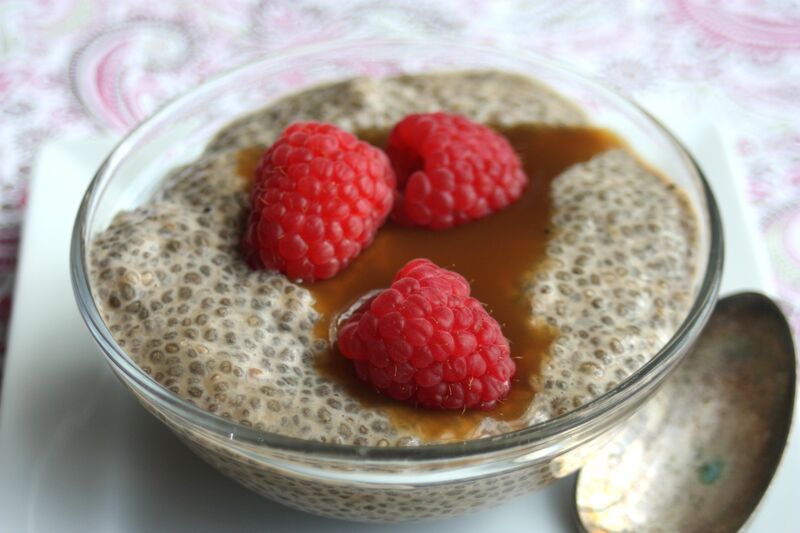 Stir in the chia seeds and refrigerate for at least one hour. 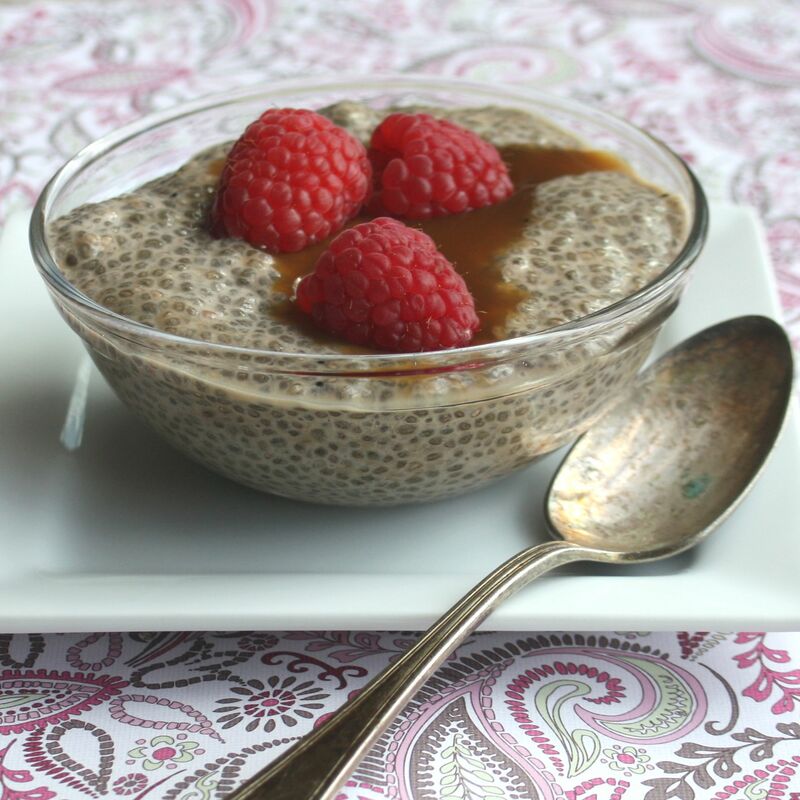 When ready to serve, evenly divide between four small bowls and top with caramel sauce. If desired, serve with fresh berries. Every now and then I am surprised by a melon variety I wasn’t aware existed. My latest find was lemondrop melon, which has a yellowish, netted exterior and pale green grooves. 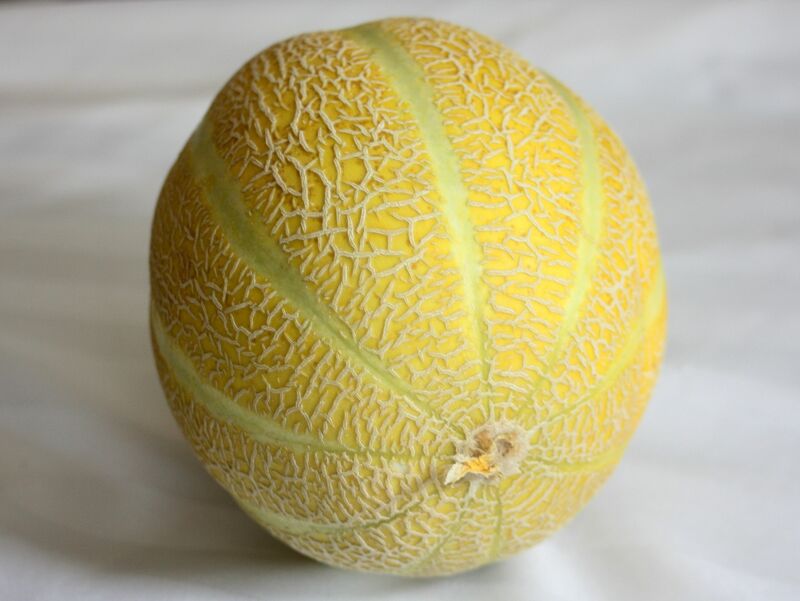 It is a hybrid variety or melon, which achieves a perfect blend of sweetness and citric acid content. In the United States they are typically grown in Arizona and sold under they brand Kandy. 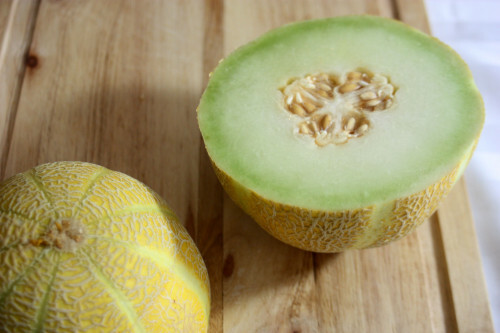 When you cut into the melon it looks similar to honeydew, with its light green flesh and minimal seeds. But what about taste? I have to admit the taste surprised me. I was expecting it just to taste like honeydew, but it was more complex. The lemondrop melon has a sweet-tart taste that is equal parts honeydew-sweet and lip-puckering lemon. I can see why it is marketed under the brand Kandy, since the flavor and rate at which it will disappear from your refrigerator is similar to candy. 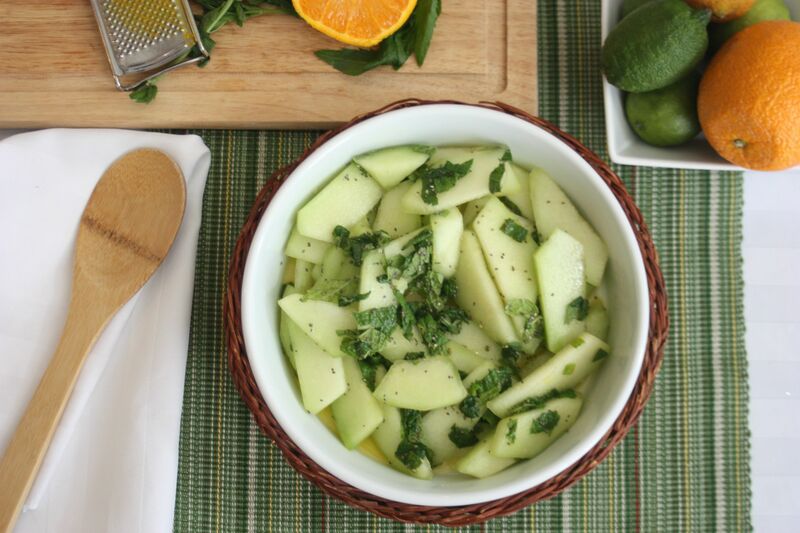 It seems almost a shame to do anything to mask the unique flavor, so I decided to keep my additions light and made a melon and mint salad. I mixed slices of the melon with mint and a dressing of orange juice and honey to accent the dominant flavors of the melon, then added a final touch of chia seeds for a bit of color and texture contrast. The result was a thumbs up from the entire family. Irresistible taste combined with a healthy alternative to other sweet-tooth fixes, means I plan on keeping lemondrop melon on my summertime shopping list. I hope you get a chance to try this refreshing melon too! 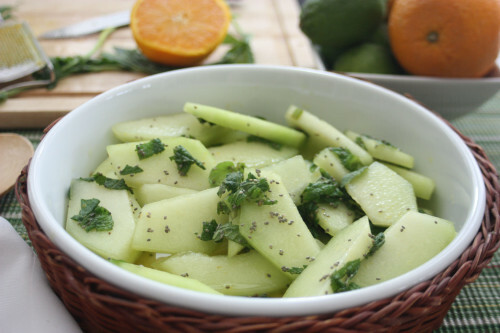 Remove the rind and seeds of the lemondrop melon, then cut it into small wedges. Place four cups of the wedges into a large bowl (reserve the remaining ~ 2 cups for another use), then chiffonade the mint leaves and add to the bowl. In a small bowl, stir together the orange juice, honey, chia seeds, and orange zest, then pour over the melon and stir until all the ingredients are well mixed. Serve immediately, or refrigerate until ready to serve (though I recommend stirring in the mint right before serving to prevent wilting).